The move highlights DMCC’s ongoing effort to develop, enhance and connect the JLT district, host to a growing community of over 100,000 people who live, work and visit the area. The JLT district is a mixed-use, energetic community comprising 68 commercial and residential towers. In 2017, DMCC announced the development of a new premium district, Uptown Dubai, set to offer world-class commercial, residential and retail spaces, including hotels, restaurants, recreational areas, and two iconic super-tall towers designed by leading architects Adrian Smith & Gordon Gill. 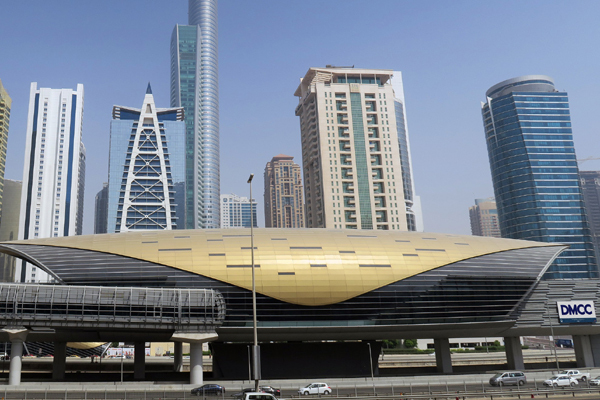 DMCC also revealed that an air-conditioned walkway is planned that will provide pedestrians with direct access to both Uptown Dubai and Almas Tower from the DMCC metro station without having to step outside. “As the master developer of JLT, DMCC is excited to play a prominent role in defining the development of its community and paving the way for an even more integrated and vibrant business and leisure hub. The metro station plays a central part in our mobility plans; connecting and integrating our community with Dubai and ensuring individuals can commute with ease. In addition, the last few years have seen greater changes to urban mobility, and as part of our Smart District programme, we are looking at innovative solutions that will improve all aspects of travel to and from the world’s leading free zone at DMCC,” said Ahmed Bin Sulayem, executive chairman, DMCC.